The Certified Wellness Coach (CWC) national exam prepares individuals for a career as a Wellness Coach. Attaining national certification displays that individuals have mastered the ability to be recognized as the powerful tool for change that has Certified Wellness Coaches (CWC) being sought out by clients for a variety of motives. Earning and maintaining and National Certification allows candidates to be a successful and highly recognized professional in the rapid emergent field of Wellness Coaching. A Certified Wellness Coach (CWC) maintains a supportive relationship with the person or persons wanting to make the change in his or her life. A Certified Wellness Coach (CWC) provides a positive connection that enables the person being coached to recognize his or her own strengths and ability to make lasting changes that allow them to achieve better health and well-being. Certified Wellness Coaches (CWC) are becoming increasingly recognized by medical professionals as a tool to assist patients and advocate changes in his or her lifestyle rather than prescribing medicines and telling them, they just have to change. Certified Wellness Coaches (CWC) are not limited to any one occupational model. The diversity in professionals using Wellness Coaches extends beyond business and human resources, to include alternative health and well-being practitioners, doctors, teachers, nurses, and leaders looking for insightful processes to evolve their capabilities into the best habits for total living. There is no limit to the powerful tool for change a Certified Wellness Coach (CWC) can offer. Earning and maintaining and National Certification allows candidates to stand out in the field, as a professional Wellness Coach. 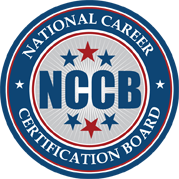 Achieving the National Career Certification Board’s (NCCB) Certified Wellness Coach (CWC) designation will allow you to advertise your certified status to the public and seek referrals from other professionals based on your certification. According to the 2010 figures from the US Department of Labor's Bureau of Labor Statistics, average salaries ranged from $23,443 to $61,928. Average wellness coach salaries can vary greatly due to education, company, location, industry, experience and benefits.